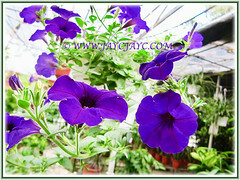 Petunias are one of the most popular flowers that you can find in home gardens as they are repeat bloomers. They come in an explosion of colours. 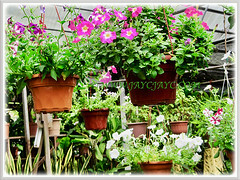 They are best grown in containers or hanging baskets. 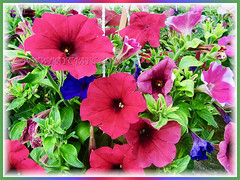 Hundreds of named petunia varieties to choose from. Some are ideal for container growing, while others are excellent for massing in the garden. 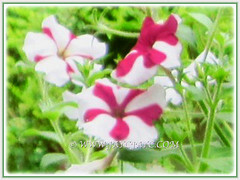 Botanical Name: Petunia, followed by the cultivar or hybrid name. Etymology: The specific epithet Petunia is derived from the French which took the word petun, meaning tobacco, from a Tupi-Guarani language. Origin: Native to South America. Plant type: An ornamental, herbaceous and annual plant. 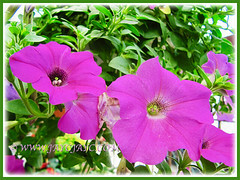 Some petunias are perennials. 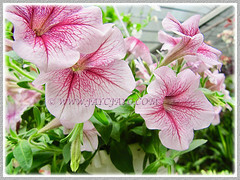 Features: Petunia comprises of about 35 species of flowering plants. They are fast-growing and are prolific bloomer. They are horticulturist favourite and numerous cultivars and hybrids have been cultivated. Flowers are funnel-shaped, with petals joined together. It comes in a wide range of forms and sizes, with some single, ruffled and fringed. 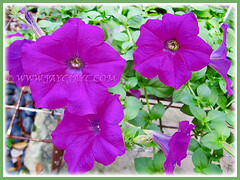 Double flowers are available too. Even the flowers are so varied in numerous colours such as pink, rose, red, white, blue, purple, magenta, yellow, salmon, scarlet, orange, black, double-toned such as light pink with darker veins. Some have a pendulous, cascading habit that makes them suitable for hanging baskets and window boxes. The mounded varieties are ideal in beds or borders. 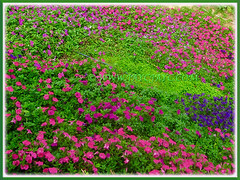 Groundcover or spreading petunias spread quickly and are excellent for scrambling down a hillside garden or planting atop a retaining wall. The fruit is a dry capsule with two compartments and many tiny seeds. 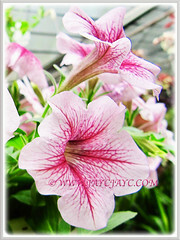 Petunias are generally insect pollinated. 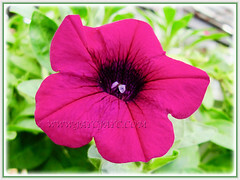 Culture (Care): Petunia can be easily grown with minimum care. Light: Best with full sun with at least five to six hours of good sunlight. However, they will have fewer flowers if grown in partial shade. Moisture: Moderate water needs. Do water regularly during the drier seasons. It can grow well in low humidity. Soil: Best in organic-enriched and well-drained soil. However, it can tolerate any commercial garden soil with good drainage. 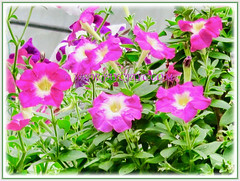 Others:Remove faded and dead flowers to prolong blooming and keep the petunia plant healthy for a long period. If you deadhead, it will prevent those spent flowers from developing seeds and help the plant to focus its energy on producing more flowers instead of seeds. Feed once fortnightly or monthly with a balanced liquid fertilizer to promote good growth. Generally free from pests or diseases. Nevertheless, do watch out for aphids, snails, slugs, caterpillars, grey mold and leaf spots. For subtropical and temperate regions: Hardiness: USDA Zone 9 – 12. 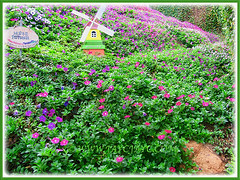 Petunias are tender perennials in these zone. Most ideal to be planted as annuals and thrive well in zone 5. They flower from spring, summer to autumn. 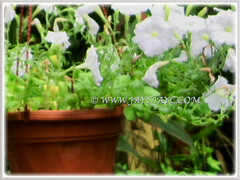 Petunias can be propagated from seeds. Sow them indoors 10 to 12 weeks before you set them outside. Seeds are very small and need a lot of light to germinate. Shelter plants from strong winds and heavy rain. Propagation: Can be propagated from the tiny and fine seeds, needing light to germinate. Alternatively, it is easier to grow them from transplants. Usage: Petunias that are pendulous or with a cascading habit are excellent for hanging baskets and window boxes.They come in numerous shapes, forms and colours, and will add a splash of colour and interest to your garden.Ideal as a bedding plant, in flower beds or ground cover. They are suitable to be mass planted in a flower bed for variety and colour. If you’re a nature lover, plant them to attract bees, butterflies and birds.